With wings spread, a fittingly named lilac breasted roller takes flight from his perch, revealing a kaleidoscope of feathers-lilac, turquoise and indigo. After catching a large beetle he will return to the same acacia-a perfect viewpoint for hunting insects, reptiles and rodents for his next meal. 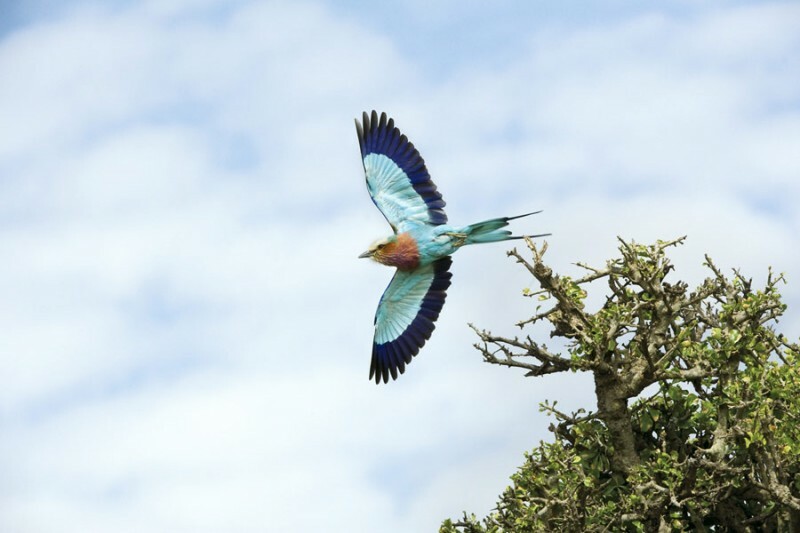 Well-known as the jewel of the east African landscape, the lilac breasted roller is named for its spectacular courtship flight where it dives from a high distance, while rocking back and forth quickly during its descent.